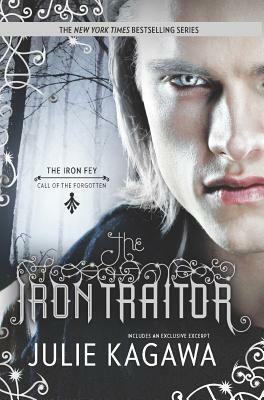 From the limitless imagination of New York Times and USA Today bestselling author Julie Kagawa, The Iron Fey series continues.WHEN WE MET, I HAD NO IDEA HE WOULD BE THE CATALYST...FOR THE END OF EVERYTHINGAfter his unexpected journey into the lands of the fey, Ethan Chase just wants to get back to normal. Well, as "normal" as you can be when you see faeries every day of your life. Suddenly the former loner with the bad reputation has someone to try for--his girlfriend, Kenzie. Never mind that he's forbidden to see her again. But when your name is Ethan Chase and your sister is one of the most powerful faeries in the Nevernever, "normal" simply isn't to be. Ethan's nephew, Keirran, is missing, and may be on the verge of doing something unthinkable in the name of saving his own love. Something that will fracture the human and faery worlds forever, and give rise to the dangerous fey known as the Forgotten. As Ethan's and Keirran's fates entwine and Keirran slips further into darkness, Ethan's next choice may decide the fate of them all.Don't miss the first book in Julie Kagawa's highly anticipated new series, SHADOW OF THE FOX, AVAILABLE OCTOBER 2, 2018"Julie Kagawa is one killer storyteller."